This class is designed for the children coming out of the pre-school classes. It has become so popular that waiting lists are not uncommon for classes, but please feel free to enquire at the gym. 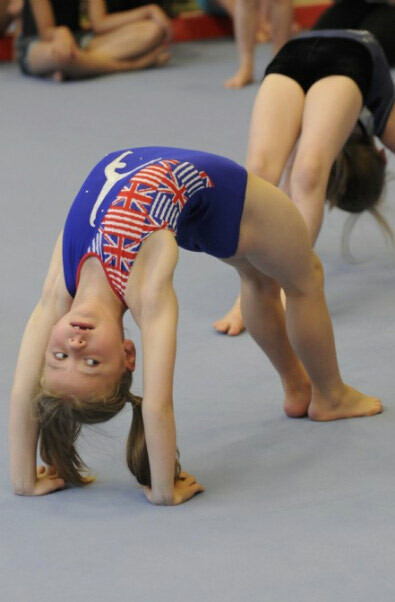 Children are given a good base for learning the basics of gymnastics. Jumping on the 10 metre fast track (which was funded by the Miltion Keynes Community Foundation), trampette, 5 Balance beams, 6 soft balance beams vaulting table, spring boards and all floor work are worked on at all times. As well as this we have the Peg board to climb and the ropes. Some children work and learn faster than others, but the coaches always take great care to ensure that each child is worked at his/her own ability range. The art of gymnastics can be mastered by having fun in trying! 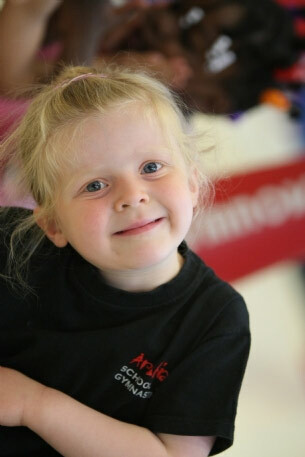 Children can work towards regular rosettes and as=lso certificates twice a year. We also hold annual club championships which are optional but very popular. Rosettes are earned when they master a move and are a fantastic memory that can be hanging on the bedroom wall for many years to come and of course show you their progress. Its optional if you wish to buy any of these. As coaches we want the children to achieve elements within the sport and to eventually combine these elements. High Fives is a very popular class which runs every night of the week for children that are in full time education. For the first visit, your child only pays for the very first trial lesson. The following lesson she/he needs to pay the remaining weeks left within the 8 week block therefore being in line with the others in the class. Lessons roll on and we do not have breaks unless stated. Classes continue over school holidays. Please note that once you pay for a block of lessons this is a non refundable programme.